| New York, NY - October 11, 2018 | BLACKBARN is participating in two of the most anticipated events at this year’s New York Wine and Food Festival: the Chelsea Night Market and Food Network's Rooftop Birthday Party. Stop by the revolutionary retail and food experience at Chelsea Market to browse unique homewares collected from abroad and designed by Co-Owners Mark and Kristen Zeff in the Shop, and sample a special menu in the Café and Bar during the Chelsea Night Market. Also, check out the spectacular bites Chef John Doherty and BLACKBARN Restaurant have crafted at the Rooftop Birthday Party at Pier 92. See beautiful homewares and taste delightful treats at BLACKBARN Shop, Café and Bar this year during the Chelsea Night Market, a part of the Food Network and Cooking Channel New York City Wine and Food Festival. Tour the Shop, where worldly wares from Co-Owner and interior designer Mark Zeff and his wife Kristen will wow on your way to the Café and Bar, where Co-Owner and Executive Chef John Doherty will offer garlic roasted portobello mushrooms and cheesy polenta with crispy tuscan kale and roasted baby carrots. 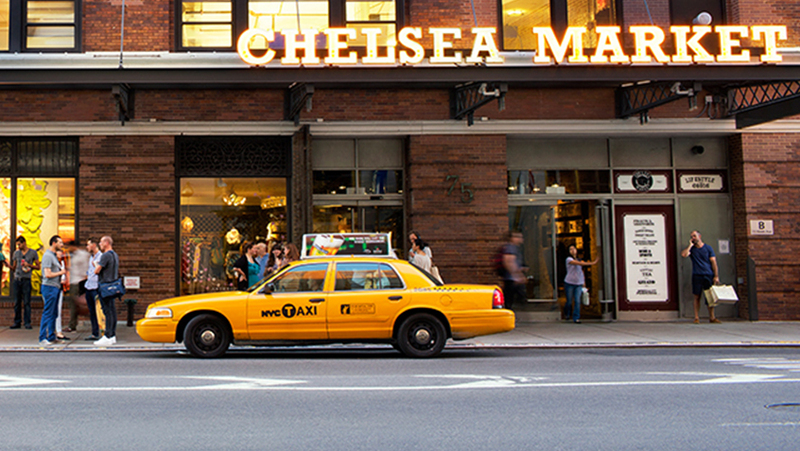 Hosted by Elvis Duran of Z100 Radio and Rosanna Scotto of Good Day New York, guests will be invited to roam Chelsea Market as it closes its doors to the public and brings a special array of treats and live music. Event details can be found below. Celebrating Food Network’s 25th birthday, BLACKBARN will participate in their signature Pier 92 rooftop party serving succulent Spiced Pork Belly Choucroute Sliders and Pickled Carrots. There to toast the momentous occasion, the hosts for the evening are favorite household names Alton Brown, Giada De Laurentiis, Bobby Flay and Ina Garten. Joining more than 25 of NYC’s best chefs and restaurants, Owner/Chef of BLACKBARN, John Doherty, will be serving up delicious dishes and desserts atop the scenic rooftop, where the breathtaking New York City skyline will serve as the ultimate celebratory backdrop. And it’s all for a good cause: proceeds from the event will go to benefit Food Bank for New York City and No Kid Hungry.